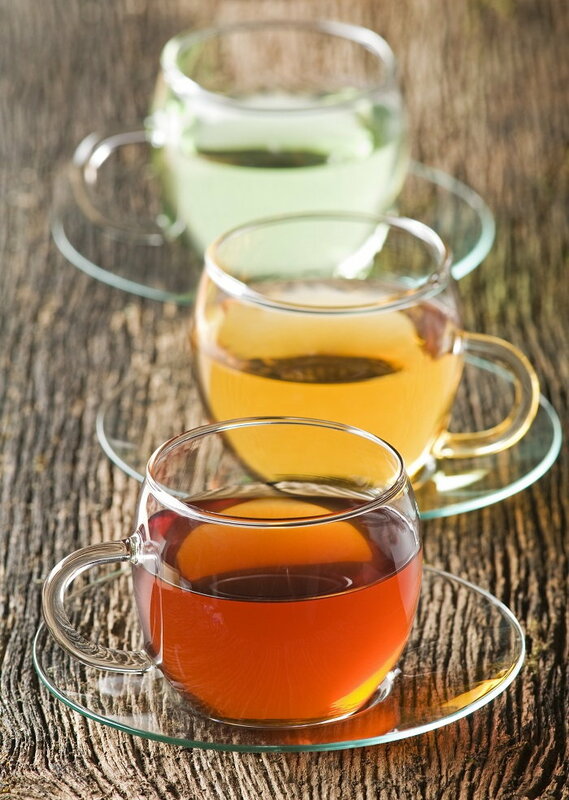 Black, Red, White, Green: What's Your Cup Of Tea? Tea's long history as a popular beverage is part fact, part myth and part ideas derived from several schools of philosophy and religion. According to Chinese legend, the history of tea began in 2737 B.C. when the emperor Shen Nong, a scientist as well as a ruler, accidentally discovered the drink while boiling water in his garden. A leaf from the Camellia sinensis plant under which the the emperor was sitting drifted down into the pot of water and thus began the long history of one of our favorite beverages. The emperor became intent on knowing more about the tree. Legend says his search led to the discovery of tea's medicinal properties. Indian history attributes the discovery of tea to Prince Bodhi-Dharma, an Indian saint who founded the Zen school of Buddhism. Whatever the legend, tracing tea’s origins is difficult. Most likely the tea plant originated in the regions around southwest China, Tibet, and Northern India. Chinese traders often traveled throughout the regions probably encountered people chewing the leaves for medicinal benefits. It wasn't until the Tang dynasty (618-907), also known to as the classic age of tea, that consumption become widespread and tea became recognized as the national drink of China. The Buddhist monk, Lu Yu (733-804) described several types of tea, uses, benefits, and how to prepare them. His writings were influenced by Buddhist, Taoist, and Confucian thought. The following centuries became known as the romantic age of tea. During this period, Chinese culture significantly influenced art, politics, and religion in the Far East. Early 9th century lore states that it was a Japanese Buddhist monk studying in China who introduced tea to Japan. Subsequently, small tea plantations were established at several remote monasteries. Due to the isolation of these plantations, tea failed to become popular in Japan until the thirteenth century. The most popular method of preparing tea involved grinding delicate green tea leaves into a fine powder using a stone mill. The powder, known as Matcha in Japan, was a precursor to the traditional Japanese tea ceremony. 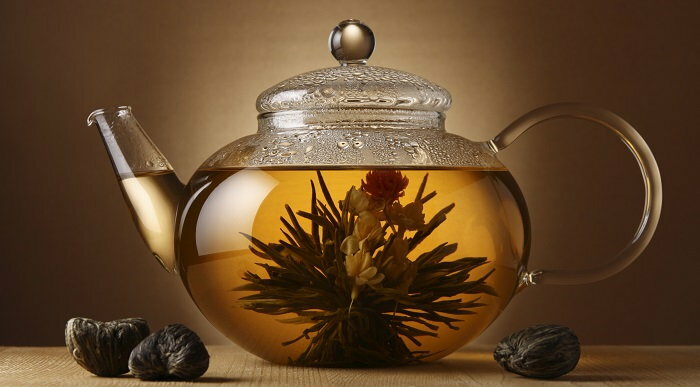 It was not until the Ming Dynasty (1368-1644) that tea began to be prepared by steeping entire leaves in hot water. Rather than compressing the tea leaves into small bricks or grinding them, leaves were dried, rolled, and heated in iron woks to stop oxidation. They could then easily be steeped in hot water. A Chinese monk brought the new rolled tea to Japan in the 17th century. Shortly thereafter, a tea merchant in Kyoto invented a new Japanese method for steaming, drying, and rolling green tea. This process, and the resulting type of tea became known as Sencha, now a mainstay of Japanese tea culture. Traders, missionaries, and explorers traveling between Europe and the Orient were exposed to the growing tea traditions in the Orient. As early as the 9th century, Arab trade documents refer to the process of using dried leaves to make tea. Tea didn’t become popular in the West until the 17th century when a Portuguese missionary brought it to Europe and was not considered a serious trade commodity until 1610 when Dutch merchants began trading it. That year the first shipments of Japanese and Chinese tea arrived in Europe on ships of the Dutch East India Company. Tea was also carried to Russia by caravans coming from China by way of the Silk Road. The popularity of tea spread rapidly to London, Amsterdam and Paris although the high price limited consumption to royalty and the aristocracy which considered it part of the mystery of the Orient they could only read about. It took awhile for the English to embrace tea. Coffee remained the preferred drink in coffee houses frequented mainly by men. The tea fad caught on with women who perceived it as a genteel drink. In 1657, the first English tea shop opened selling tea imported by the Dutch. This led to a rise in tea's popularity in London coffee houses and cafes. Tea gained further popularity when Charles II married a member of Portuguese royalty, Catherine of Braganza. She was known to love tea and introduced the royal court to the idea of tea time. Not long after, the British East India Trade Company was established to compete with the Dutch East India Company. By the early 1700s, the British East India Company became the dominant trading power and went on to monopolize Chinese tea trade. Stations were established in India where "The Company", as it was known, acted as an imperial arm of England exercising significant political power. The expansive British Empire on which" the sun never set" soon became a reality. The Company maintained the right to annex land, move troops, and dictate laws. The British would go on to exploit the tea trade for profit and political power for a century until geopolitical change due to the new American colonies and the French and Indian Wars as well as mismanagement and corruption began to threaten The Company’s position. However, China remained the main source of Western tea until the mid-1800s. At that time, the British Tea Committee sent Robert Fortune, an English botanist, on an undercover mission to China. Disguised as a Chinese merchant, he traveled around the country learning tea farming and processing techniques. More importantly, he sent back tea samples and brought Chinese tea experts who played an important role in implementing British tea planting and experimentation in India. By 1823, a British Army major had stumbled upon indigenous tea bushes growing in Assam, India. The British East India Company snatched the opportunity to experiment with growing tea at the base of the Himalayas in Assam and Darjeeling. Dr. Campbell planted Darjeeling tea seeds in his garden and the planting was very successful so that the British government began to develop a large number of tea estates in the area. This ended the dependence on Chinese tea. Tea came to America in the mid-1600s by way of the Dutch settlement, New Amsterdam, which was later renamed New York. The tea trade flourished among wealthy colonist. Concurrently, the British East India Company persuaded the English Parliament to pass the Tea Act. This allowed them to ship tea duty-free directly to the colonists by-passing colonial merchants. The resulting dissent led to the protest movement of “no taxation without representation” and the Boston Tea Party. The American Revolution of 1776 followed and set The Company back significantly, but due to its immense geographical size, it failed to collapse. Richard Twining and thousands of tea merchants organized a campaign to reveal the Company’s practices and pressured the English government to end the monopoly which caused The Company to collapse in 1874. Following the repeal of the Navigation Acts, sleek and speedy clipper ships, sped back and forth between England and China. During the 19th century, tea drinking played an important role in social life and new tea traditions in America. Iced tea originated at the 1904 World's Fair in St. Louis, Missouri when a foreign tea merchant wanted to serve visitors free hot tea samples. Due to extremely hot weather, the drink flopped so to promote sales, he got an ice cream vendor to dump ice into the hot tea and American iced tea was born. Currently, iced tea comprises around 80% of U.S. tea sales. Thomas Sullivan, a New York tea merchant, is credited with the first commercial tea bag concept. Today, tea is the world’s most popular beverage after water. 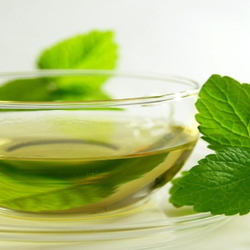 Green tea is a type of tea made from Camellia sinensis leaves that have not undergone the same withering and oxidation process used to make black tea. White tea refers to one of several types of tea containing young or minimally processed leaves of the Camellia sinensis plant. Through the years, the composition of Red tea has been the source of a number of legal challenges. 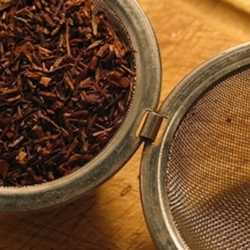 In 2013, the South African Department of Trade and Industry issued final rules that protect and restrict the use of the names rooibos, red bush, rooibostee, rooibos tea, rooitee and rooibosch in that country in order to stop the names from being used for products not derived from the Aspalathus linearis plant. Additionally, it provides guidelines and restrictions for how products which include rooibos could use the name in their branding. Rooibos tea is completely caffeine-free. A cup of rooibos before bed may help you sleep better. It also relieves stress, tension, and hypertension by acting as a bronchodilator. It's rich in calcium, manganese, and fluoride to help maintain strong bones and teeth. It's anti-inflammatory in nature, promotes an increase in HDL cholesterol (good cholesterol) and inhibits the LDL cholesterol (bad cholesterol) from attaching to the walls of arteries and blood vessels. Drinking rooibos has numerous other benefits as well. People who drink tea are less likely to have the most common type of liver cancer, liver steatosis, liver cirrhosis and chronic liver disease as confirmed by findings in a systematic review published in 2008. 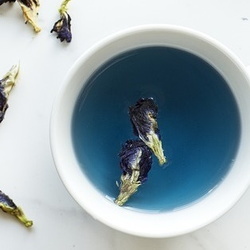 Tea has also been associated with a lower depression risk. A 2015 meta-analysis of almost 23,000 participants found that for every three cups of tea consumed per day, the relative risk of depression decreased 37 percent. Tea was also associated with a reduction in stroke risk. People who consumed at least three cups a day showed a 21 percent lower risk than those consuming less than a cup a day. A more recent analysis looked at 22 studies of more than 850,000 people and found that drinking three cups of tea a day was associated with a reduction in coronary heart disease (27 percent), cardiac death (26 percent), stroke (18 percent), total mortality (24 percent), cerebral infarction (16 percent) and intracerebral hemorrhage (21 percent). 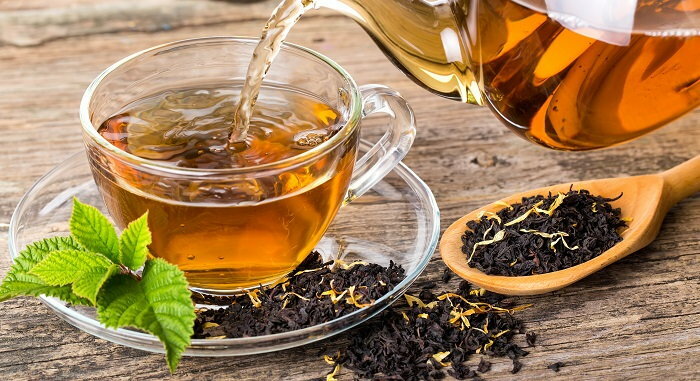 A 2014 analysis of 15 studies of over 545,000 participants showed a strong correlation between tea consumption and the risk of developing Type 2 diabetes. For each additional two cups of tea consumed per day, risk of developing diabetes dropped 4.6 percent.